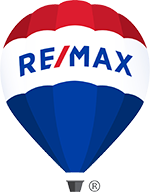 With a name brand that people trust, RE/MAX Regency Property Management is proud to serve the Fauquier, Western Prince William, Rappahannock and Culpeper Counties including the towns of Warrenton, Bealeton, Amissville, Haymarket, Gainesville, Manassas, Bristow, Remington, and Culpeper. Our innovative business model integrates the customer service and management disciplines of the institutional property management industry at a local level. This unique approach and our commitment to excellence has resulted in strong business growth atop long-lasting tenure in the area.